> Full English voice acting! > Fair & fun puzzles! > Rus, It, De, Fr, Esp subtitles! For Windows PC. NEW: Linux users can play the game using Proton on Steam! A brand new point & click adventure for all ages! Alfred Walsh is the new librarian, but on his first day he will accidentally unleash a dreaded curse upon the shelves within! He must fix things fast - but how will his tale end? With the help of Merlin the Wizard and some other familiar faces, Alfred must solve puzzles in the strangest of places - if he is to succeed and stop the curse of Oblivion! Suitable for kids & adults alike, full of old-school goodness and whimsical charm, fun characters and gratifying puzzles. 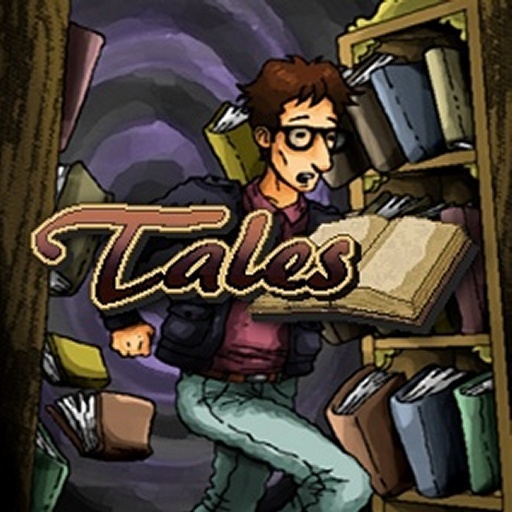 The enchanting story will see you journey within well known books as you seek the help of many great heroes (and lesser ones) in order to save the fate of mankind's beloved Tales! You take control of Alfred - with simple point & click gameplay, many locations to explore and characters to meet, full English voice acting and over 50 minutes of original music by Luigi Di Guida, adventure veterans will feel right at home and new players can always seek advice from Merlin during their quest!